For being arguably the most well-known fighting game franchise in the world, Street Fighter has a pretty weird history on mobile. If you’re interested in a bit of that history, well, read on my friends. If you’re here just to read about the nuts and bolts of the Street Fighter IV Champion Edition ($4.99) which just dropped in the App Store, then skip on down to the sixth paragraph for more on that. Anyhoo, touchscreens have always been a sticking point when it comes to gaming on mobile devices. In the best of cases they have caused developers to think outside the box and invent new and exciting input methods for playing games sans physical buttons. For the most part though, bringing traditional console and arcade style games to mobile meant dealing with virtual buttons overlain on the screen. And fighting games have always been ALL about button inputs. It didn’t seem like the best genre to try and bring to touchscreen devices. 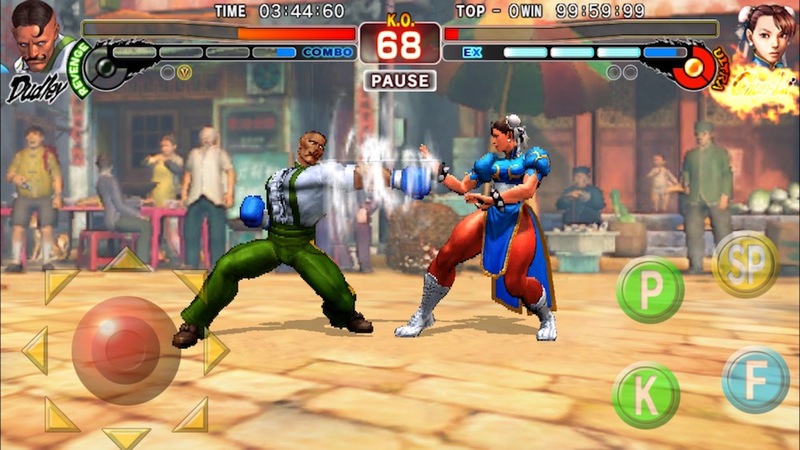 However, although it wasn’t the first fighter on iOS, in March of 2010 Capcom released Street Fighter IV to the App Store, a mobile take on their series reboot from the previous year. Whereas the console version of Street Fighter IV was a fully polygonal 3D game, the mobile version took the strange approach of pre-rendering scaled down versions of those same console fighter models and animating them into the game like a more typical sprite-based 2D fighting game. It gave the game more of a claymation look, which was kind of neat, but it was also an odd choice given that iOS hardware even at that time was capable of some pretty good 3D visuals. Anyway, more important than the choice of visuals was that Street Fighter IV on mobile played surprisingly well with virtual buttons. Not absolutely ideal mind you, but good enough to replicate the full Street Fighter experience even if you were standing in line at the movies. 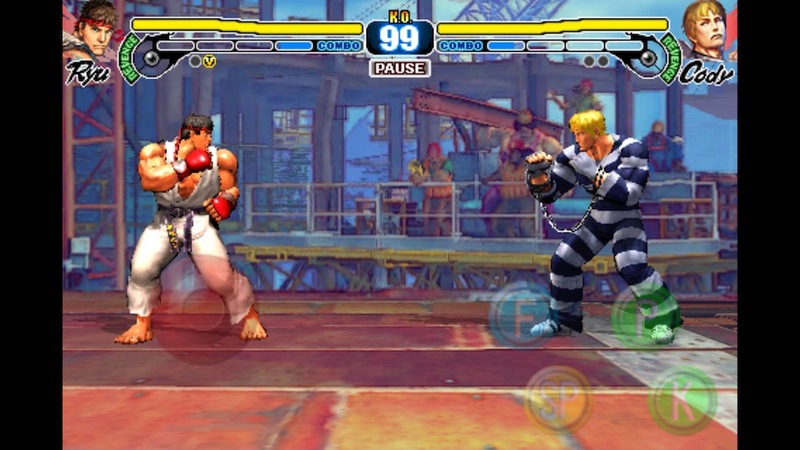 Street Fighter IV proved popular on mobile, even breaking into the top 5 in the paid charts at the “high" price of $10, and it was well-supported receiving new characters and features in updates after its release. And while its local Bluetooth multiplayer was a welcome addition when running into someone else with a copy of the game in real life, the number one request from players was for true online multiplayer. Capcom delivered this a little over a year after Street Fighter IV’s mobile release with Street Fighter IV Volt. In true Street Fighter fashion it was largely the same as the previous release but with more characters, some more modes including that all-important online multiplayer, and several other refinements making it the definitive Street Fighter IV release on mobile. Capcom’s Street Fighter playbook seemed in full effect on the App Store, and visions of yearly iterations danced in my head. Except… that didn’t really happen. 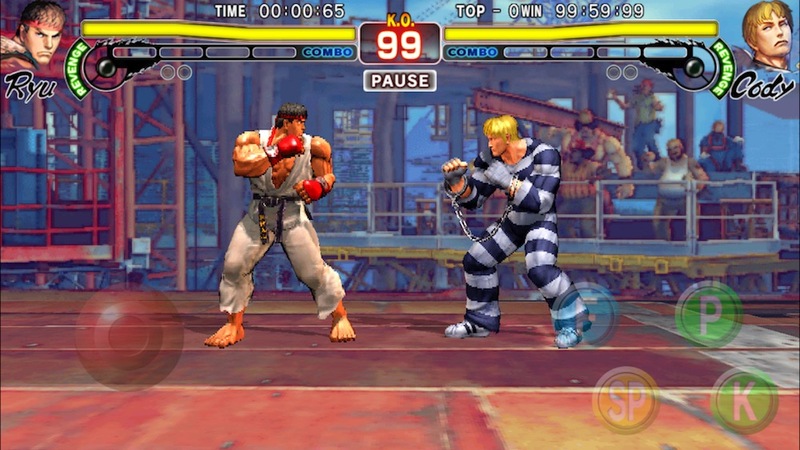 Capcom had released some classic Street Fighter action by way of the Capcom Arcade app back in November 2010 and the Street Fighter II Collection in September of 2011. 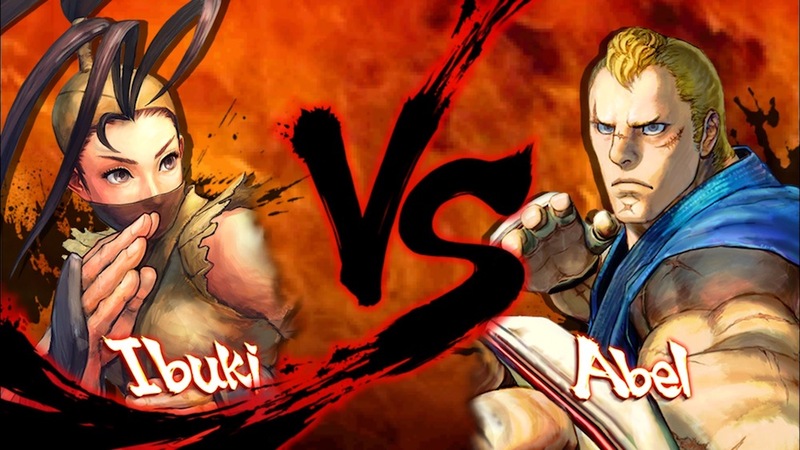 And in September 2012 they released Street Fighter X Tekken, another mobile-fied version of a current console game that tried to improve on Street Fighter IV’s mobile outings with full 3D character models and backgrounds. The character models looked great and the animations were smoother, but the 3D animated backgrounds tended to distract from the actual fighting and could make it hard to follow what was going on. Plus, with a paltry roster of fighters that lacked many fan-favorite characters and a wonky token system for battling other players online, Street Fighter X Tekken never really took off and was eventually pulled from the App Store. Street Fighter IV Volt was still the gold standard on mobile when it came to Street Fighter games. However, aside from a few compatibility updates Street Fighter IV Volt slowly withered away on the App Store. It missed the boat on widescreen gaming ushered in with the iPhone 5 in 2012, and it never expanded its borders when the larger regular iPhone and Plus models arrived in 2014. Oh, and it has never had true iPad support of any kind, although it was playable on them in 2x mode. It seemed like each year Street Fighter IV Volt became more and more outdated, but despite that it still maintained a fairly active online community. A community that had been begging Capcom to throw them even the smallest of bones in terms of supporting even basic modern features. After so many years of hoping it seemed like a lost cause, but out of the blue this past May Capcom finally answered those requests by announcing Street Fighter IV Champion Edition. So is Street Fighter IV Champion Edition everything fans have been hoping for for the past 5 or so years? Well, yes and no. We’ve finally got true widescreen support and support for larger iPhone sizes, which makes the game infinitely more playable than Volt with its non-touch-friendly black borders. It also comes with 3 brand new characters, and plans for 6 more in updates, making for the largest mobile Street Fighter roster by far. It’s everything I had hoped for… back in 2012. 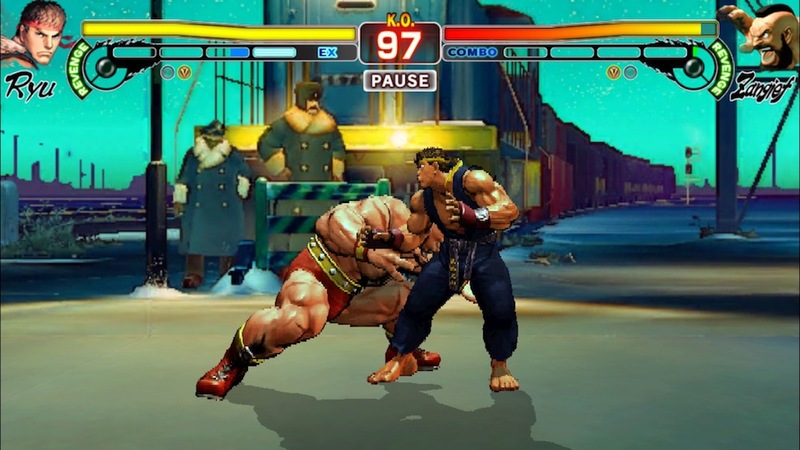 Champion Edition uses mostly the same assets from 2011’s Volt, which were themselves identical to the first release of Street Fighter IV in 2010. They are definitely noticeably improved in Champion Edition, but at the end of the day this still looks by and large like a 7-year old game. Character models are more detailed but still filled with jagged edges, and the backgrounds are the same static backgrounds that we’ve always had. I don’t want to sound like Champion Edition doesn’t look much better than Volt, because it absolutely does. All of the UI and text in the game is nice and crisp which makes a big difference, and the character art used in versus screens and elsewhere is all nice and hi-res. It’s just the character models and level backgrounds that look so dated, and to be honest they looked pretty dated even in 2010. In 2017 it’s almost jarring. Again, I don’t think Champion Edition looks bad overall, but it’s hard not to be disappointed by its graphical style in the face of so many great looking 3D games on mobile. I understand it though, as creating new assets or even trying to reuse console assets for a new mobile entry would likely be too costly compared to what Capcom could make back on its investment. Mobile is a tough place to make a buck, so I get it, but it’s still disappointing all the same. Just to put it into context, here’s a couple of comparison shots between Street Fighter IV Volt and Champion Edition that show the improvements. Enough about the graphics though. If you liked how Volt looked then just know that Champion Edition looks a good deal better. What really matters is how this game plays, and, well, it basically plays exactly like the original Street Fighter IV and Volt. If you got along fine with those games and their virtual controls you’ll get along just fine here. 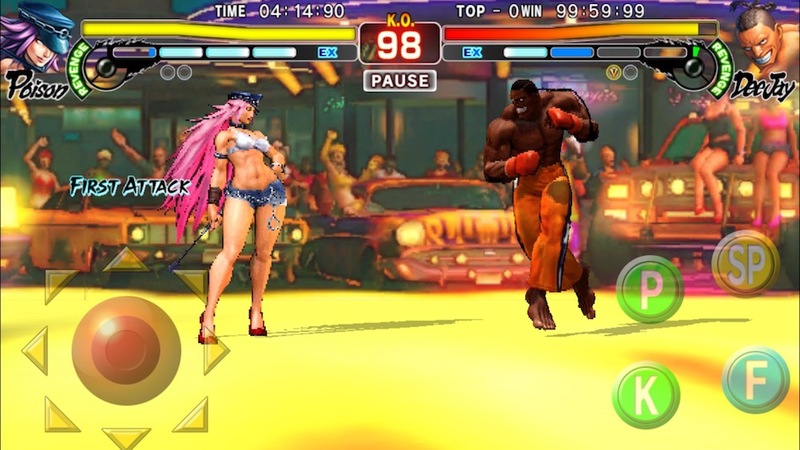 It really is pretty much identical, from the virtual buttons to the super meter and revenge bars, this is the same Street Fighter IV we’ve been playing on mobile for nearly a decade. And that’s actually fine! It’s really fun! Just don’t expect some grand leap forward or a completely new experience when it comes to the visuals in Champion Edition. In terms of modes, Champion Edition again models itself closely to Volt. For solo play you have your standard Arcade, Survival, and Training modes, as well a Challenge mode that tasks you with completing various types of combos for each character. The Challenges seem pretty much identical to the ones from Volt, but it’s still a nice inclusion when you feel like switching things up from traditional play. Additionally, like Volt, there’s a Replay mode where you can find all your own saved replays or go online and download replays from other users to study and learn from or just watch for fun. This is actually an invaluable resource for learning new tricks and strategies for playing Street Fighter IV Champion Edition so I’m glad it made its way over from Volt. While solo play is great, what most people are probably interested in is the multiplayer. Again, this is just as it was in Volt with a choice of Ranked matches or unranked Free matches aka Friendly matches online. You have options for enabling or disabling things like auto guard and SP move assistance, choosing your opponent’s skill level, and what region’s server you want to play on. One nice new feature is the ability to create a room ID in friendly matches so you can give the ID out to friends and have them join right up with you in-game. You also have all the same sort of Player Card functionality as in Volt which will keep track of your stats and allow you to customize your profile with unlockable icons and titles. Strangely, the local Bluetooth multiplayer mode seems to not be included in Champion Edition, and while it wasn’t the mode I played the most I did appreciate having it for whenever I happened to run into a buddy with Street Fighter IV on their phone so we could duke it out locally. It doesn’t seem like it would have been a big deal to include it so its omission is puzzling, and if that IS a mode you frequently play then that’s something worth considering before picking up Champion Edition. There’s also no longer a Free-Sparring mode, meaning you can’t set up a one-off match against the CPU if you want. If you want to fight the CPU it’s Arcade or Survival only, which is slightly annoying but not a deal breaker. Probably the most significant new feature in Champion Edition is support for MFi controllers. Unfortunately they don’t work in menus, but they do work beautifully during the actual fighting parts and once a controller is connected the virtual buttons automatically disappear, which is a nice touch. While controller support will no doubt be a game changer for some who never warmed up to the virtual controls, I’ve actually become so accustomed to them over the years that I far prefer the virtual buttons. Plus I’m unlikely to ever lug a controller around with me anyway, as part of the appeal of Champion Edition to me is that it’s always on me and ready to go. Still, for those who love playing with a controller, MFi is a fantastic inclusion. So, here’s the most difficult part of this review: What to rate Street Fighter IV Champion Edition? On one hand, it’s largely a 5+ year old game, and isn’t exactly going to be something you show off to your friends to show how powerful your iOS hardware is. On the other hand, the older Street Fighter IV games were fantastic, and this is an improved version of those. Plus it’s still fun as hell. If I rated it strictly on the enjoyment I’m having with it, it’s an easy 5 stars. If I rated it based on what I’d expect from a premium full-fledged fighting game in 2017, well, it would be less. My gut tells me that the baffling omission of a couple of modes and the slightly improved but still outdated graphics keep it from achieving total greatness, but the fun factor outweighs those flaws a great deal. If you missed out on the previous mobile games and are jonesing for a real fighting game, Champion Edition offers the best experience available on iOS for that, and has a ton of content for its regular price of $7.99 and especially for its discounted launch price of $4.99. And if you’ve been skipping out on Street Fighter on mobile due to virtual controls, then Champion Edition’s MFi support is the answer to your prayers. Any way you slice it, Street Fighter IV Champion Edition offers the most fun and robust traditional fighting game experience on the App Store, all at a very reasonable price. If you decide to pick it up, check out the game’s forum thread or hit up our new Street Fighter Discord channel to find some online competition or just chat about the game.